Two of the most popular cosmetic procedures today for facial rejuvenation and volume restoration are fat filler vs. dermal filler. What are the difference between the two? Let us take a deeper lens on how best to restore facial volume. One way to restore facial volume is by using hyaluronic acid, as a direct filler. Another is a polymer of lactic acid that serves as an inflammatory material to induce collagen synthesis and develop a guided tissue volume additive. These two materials can easily be administered in the office with minimal downtime. Although these treatments are safe and easy, it is important to get a doctor with experienced eyes, hands and judgment to ensure the best outcomes. Results may last up to two years. Another option to restore volume of the face is through fat grafting. Fat can be harvested easily from the thighs or abdomen to be used in the face. The procedure is a milder, gentler form of liposuctioning that requires a small amount of processing. It is then re-injected into the specific location. Under local anesthesia, patients may feel some pressure sensation from obtaining the fat. To ensure not to injure the fat, specialized cannulas are used. 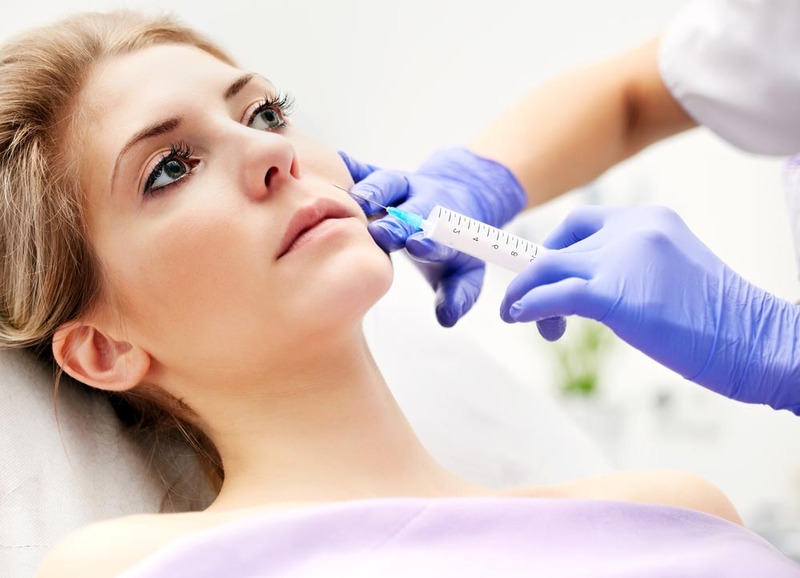 The technique may cause some pressure sensation compared to the small, sharp needle used for injecting dermal filler. The good thing of using fat is that it’s cheaper to obtain as opposed to a manufactured material. Also, peripheral stem cells could direct cellular differentiation which leads to better tissue quality. Which Do You Use? Fat Filler vs. Dermal Filler? Fat can be technically demanding because it is soft and doesn’t exert force on the skin as compared to fillers. This is the reason why most doctors prefer to use hyaluronic acid and other dermal fillers around delicate areas such as around the eyes and the lips. The use of fat filler is still an evolving technique in the world of plastic surgery. Currently, there are significant discussion on the techniques as well as the science behind the results. Fat grafting is application to every region of the body, including the face, hand, breast, buttock, neck and other contour deformities. As for the early stages of volume restoration and facial rejuvenation, which can happen during the third decade of life and beyond, most volume restoration procedures is done using off-the-shelf dermal filler in an office setting because of the convenience and the ease of use. Fat filler vs. dermal filler? Well, it is a case-to-case decision. It depends as it is important to identify the best protocol for every patient. Taking the customized approach is still the best thing to do, from the initial consultation to the procedure. Here at Skin Hampshire, it is our goal to provide only the best, optimal results for every patient and to develop a lifetime relationship.